Entries are now closed! Check back soon to see our finalists. Voting is now open! Have your say in the People's Choice Awards. YiA is finished for the year! Thanks to all who were involved. 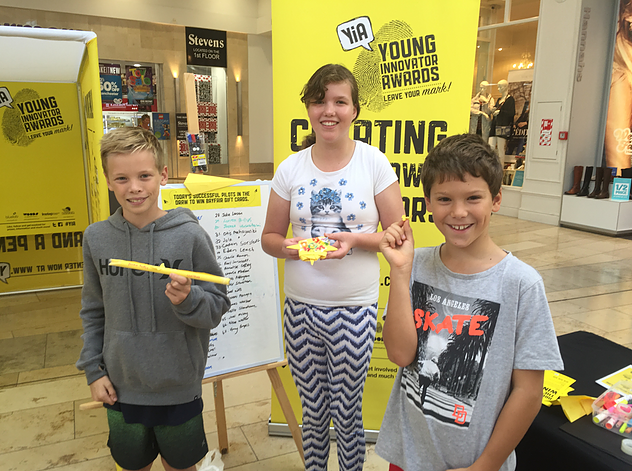 The Young Innovator Awards Paper Plane Makeathon held over the Easter school holidays gave school children of all ages the chance to have a hands-on experience of innovation. 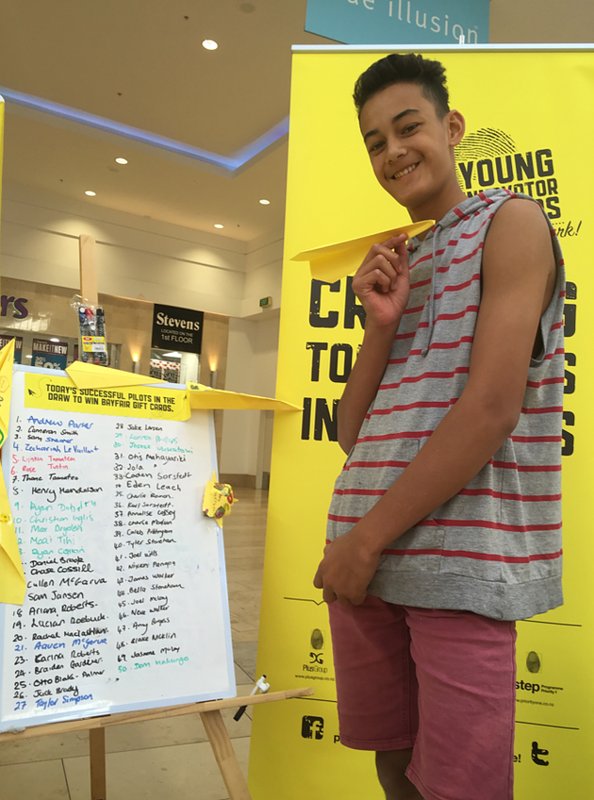 The event, which took place at Bayfair Shopping Centre from April 18 – 22 asked children to design a paper plane to fly through a target. 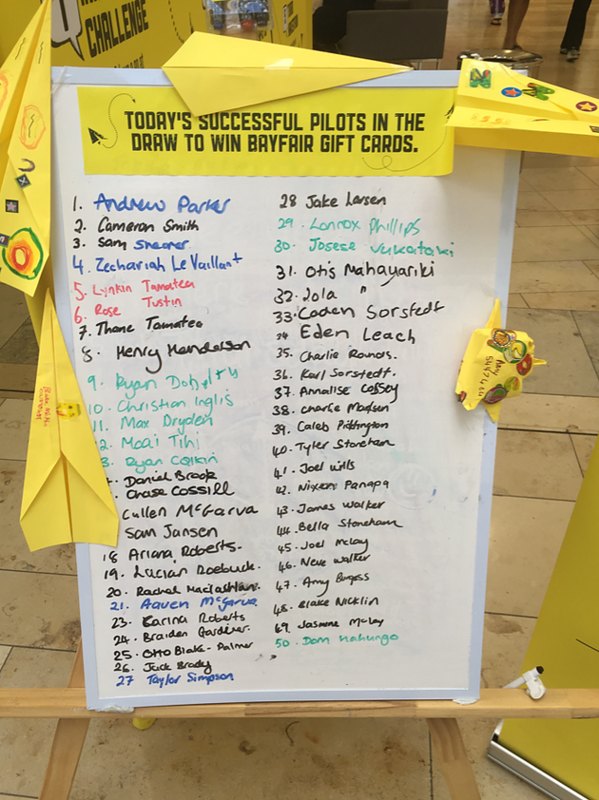 Successful pilots then went in the draw to win a Bayfair gift voucher every day. Every possible design you could think of was tested out, with over 1500 paper planes made over the course of the week. Children had to get their thinking caps on and think about the process of getting the plane from one side of the target to the other. The Young Innovator Awards vision is all about Creating Tomorrow’s Innovators. If we want kids to become great innovators, we need to give them a hand’s on experience of innovation. There’s no point in telling them, lets show them. The paper plane makeathon was great way to bring this idea to life and Woods, The Creative Agency have done a fantastic job of designing the experience. A HUGE thank you to Bayfair Shopping Centre for helping make this event happen. We had so much fun, we will be piloting it in a local school this terms so watch this space. YiA is creating tomorrow's innovators in local schools and preparing our future workforce with the skills they need to compete in a rapidly changing work environment.